Monthly baby pictures are all the rage now. 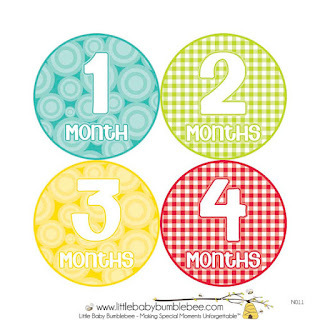 Thank you social media for allowing us to show off our cute bundles of joy - just because they reached a milestone. I know I love sharing my little ones with friends and family and I equally love seeing their babies grow too! 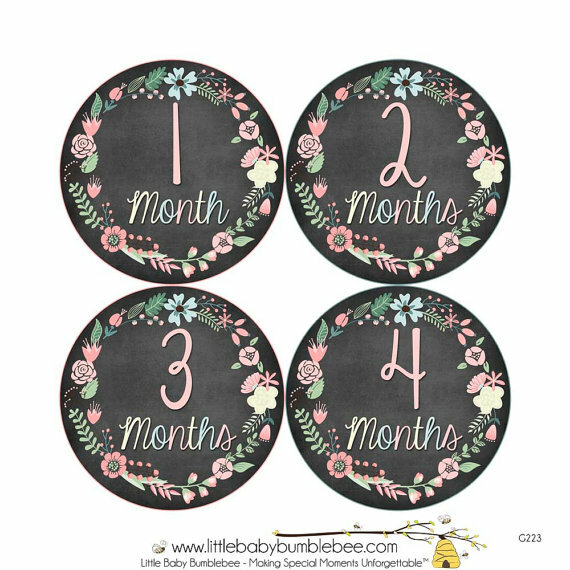 One of the biggest trends is milestone stickers! 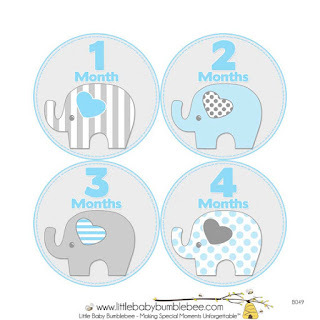 These cute little stickers let you know how old baby is. Little Baby Bumblebee has some of the cutest custom stickers I've seen! I'm so excited to share this shop with you and some examples of the adorableness! First off I love the selection this shop has to offer. 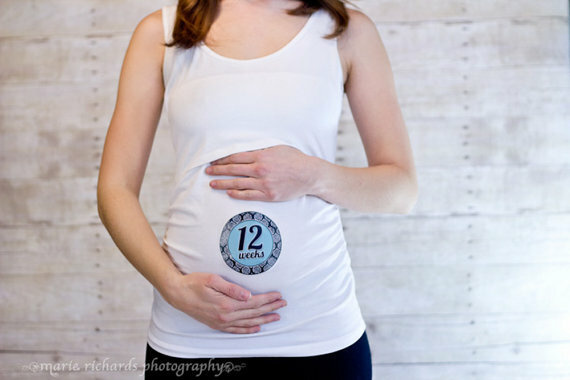 Our new arrival is a little boy - and we do themes for each of our children. I decided on 'elephant' for this little guy so I was thrilled to see that their was an elephant choice! Honestly, there is a style to appeal to all tastes! Our stickers came packaged in a cardboard envelop which kept them in perfect condition. Inside was the cutest little bag with bumblebees on it containing our milestone stickers. I love that attention to detail! I'm so pleased with how the stickers came out and that they are all ready to go for when baby comes home! 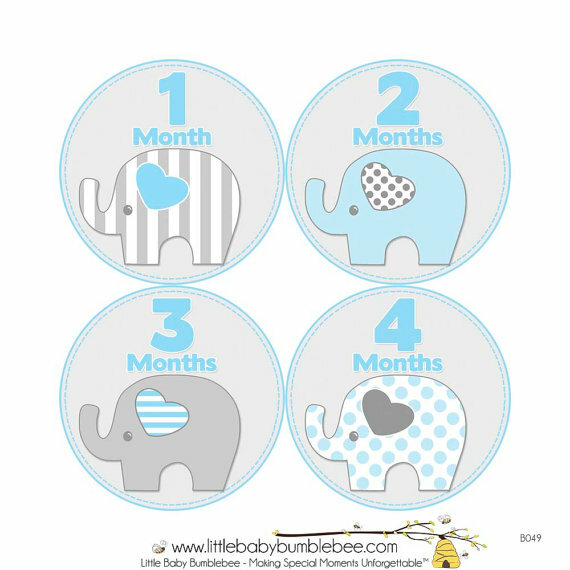 One lucky reader will win a set of stickers from Little Baby Bumblebee! 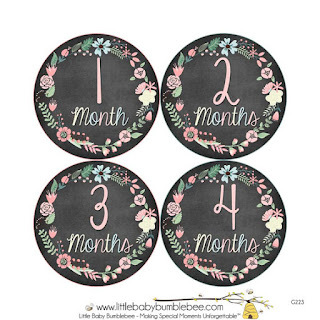 I like the pastel flowers baby girl stickers. The girls stickers are adorable! 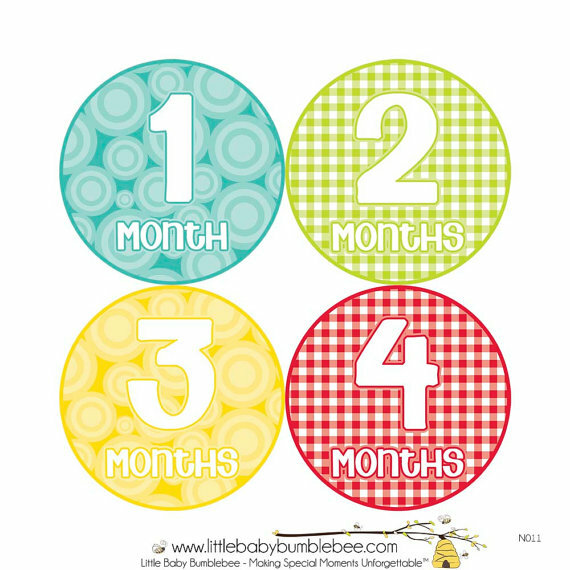 I love the monthly baby stickers with the little chickadees on them! I like the girls pastel set.